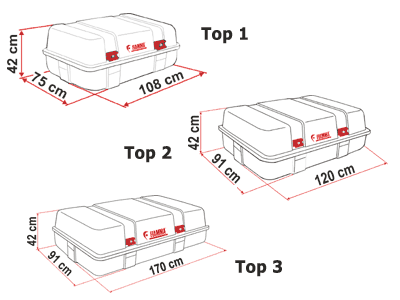 Fiamma Ultra-Box Top 2 and Top 3 roof boxes for motorhomes are by far the best top boxes available on the market today. Made using superior quality ABS-PLUS for even greater resistance to impact and degradation caused by weather conditions. 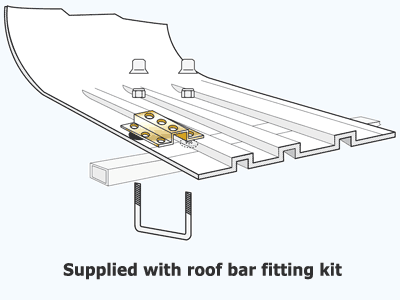 Ultra-Box Top has co-extruded high thickness UV protection to prevent deterioration as they age. The shell of the Fiamma Ultra-Box cannot be compared with your everyday automotive roof box, which usually is lighter and less robust, with less resistance to continuing weather conditions and UV degradation. 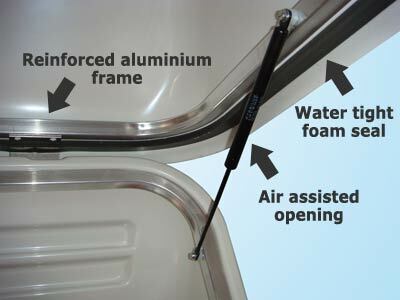 The Ultra-Box Top incorporates a reinforced aluminium frame, which supports and stabilises the Fiamma Ultra Box. Smooth up and down lid motion, thanks to the air assisted opening. 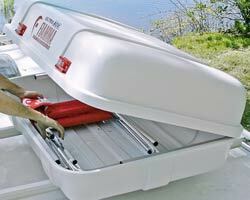 Watertight with foam seal and complete with installation kit and rust-proof hinges. 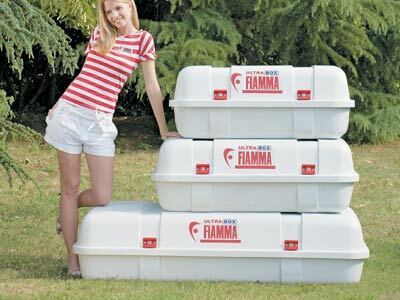 Twin locks on all Fiamma Ultra-Box Top boxes. Volume: Top 2 400 litres, Top 3 520 litres. Weight: Top 2 13kg, Top 3 17kg. Box shell: ABS-PLUS with co-extruded high-thickness UV protection. 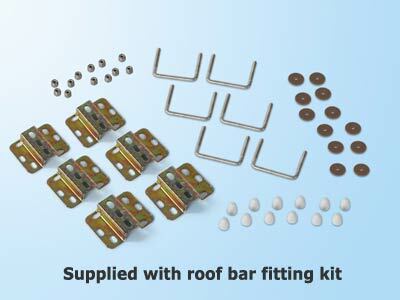 Complete with roof bar installation kit.